Hi DIYers! 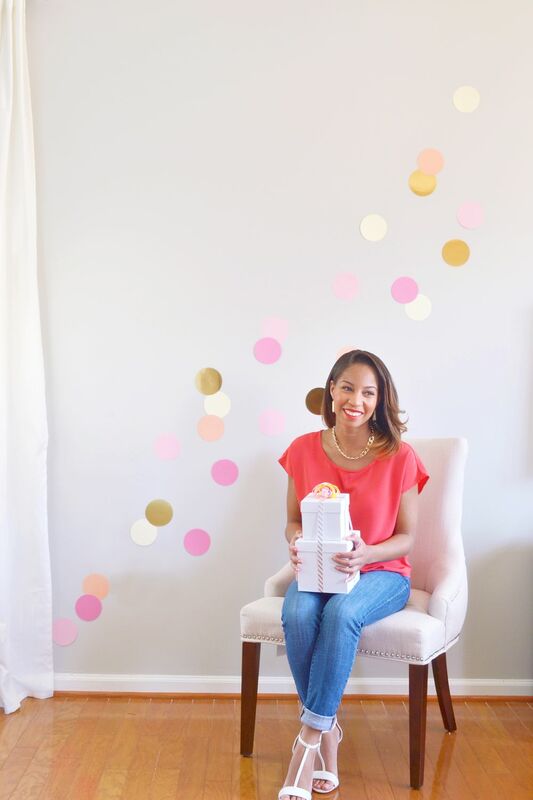 Summer is just around the corner and I’m sure you’ll want to decorate and make the party room extra special. One easy DIY you can do is create a simple backdrop. I love backdrops for photos – and they are just a lovely way to make the room a lot more festive. 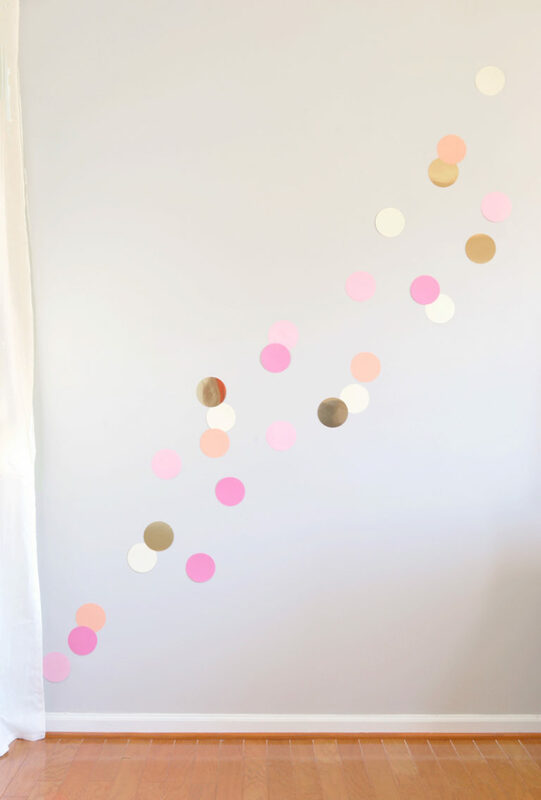 If you want to make something that doesn’t require you to go buy a lot of supplies but will also make the room feel colorful and celebratory, try making this simple confetti backdrop with cardstock. Step 1: First thing, determine what colors you’ll want to use for the wall. 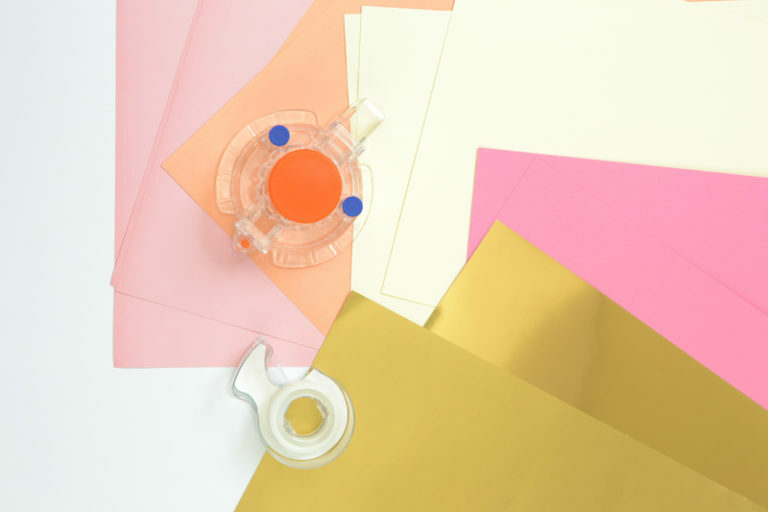 For Mother’s day, I’m choosing bright colors that work with my home decor – pink, ivory, orange and gold foil. You can find these colors at your local craft store. To make it easy you can buy a full pack of 12 x 12 paper that has multiple colors in them- or you can buy individual sheets. For this craft I needed about 10 sheets of paper. Step 2: Using the Friskars circle cutter, cut out circles that are 4 inches in diameter. This cutter has a dial that show you how many centimeters or inches your diameter will be. If you don’t have this cutter, you can draw circles with a compass and cut them out with scissors. That works perfectly fine as well. 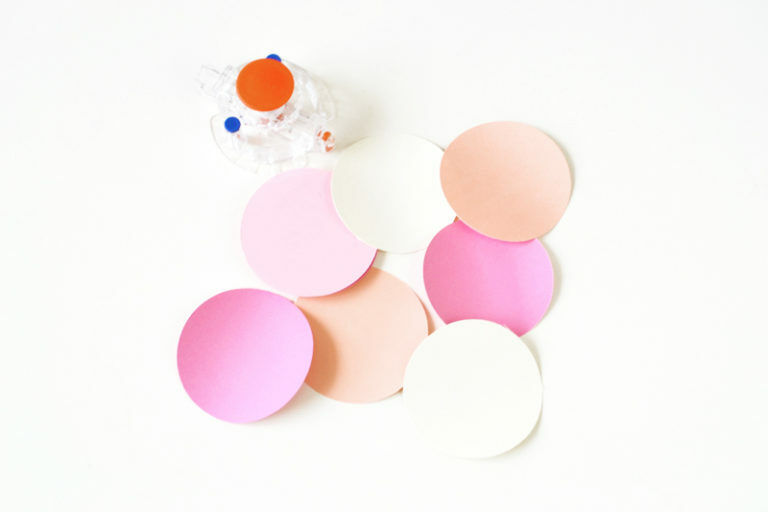 Step 3: Place a small piece of tape on the back of each circle and place them on the wall where you want them to go. I simply wanted to cascade them down the wall to give it some dimension and direction. To make it look like confetti, place a few of them overlaying each other. Space them out sporadically and go up as high as you would like on the wall. Be sure to press down with each other to be sure they don’t fall off during the party. Once you have the confetti dots where you want them, you’re done! You can use this as a simple backdrop for a party or any festive occasion where you may need a last minute decoration. Try it out!